Brend quickly became a farm favorite with his sweet nature and willingness to learn. 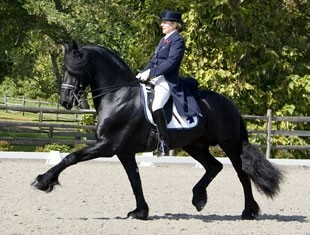 He has been successful in national dressage competitions in the Netherlands and the USA. Among his victories, the 2008 GAIG/USDF Region 1 Third Level Adult Amateur Championship. Brend has a wonderful work ethic. 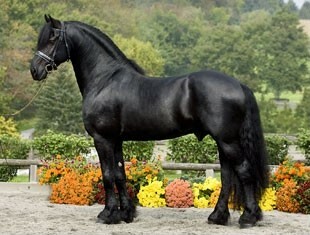 His trot is elegant and supple with good reach and a lot of suspension. His canter is roomy and uphill with natural balance and an ability to adjust and collect. Brend is Approved on offspring, which indicates that he has a positive effect on breeding and that his sons and daughters have above average talent for dressage. His offspring are winning at the Dressage at Devon breed show, earning keuring championships and 1st Premie status, as well as national championships under saddle.